58 engines of class C28 were built in 1921 by Henschel, Hartmann and Esslingen, this one, C28 47, by Esslingen. 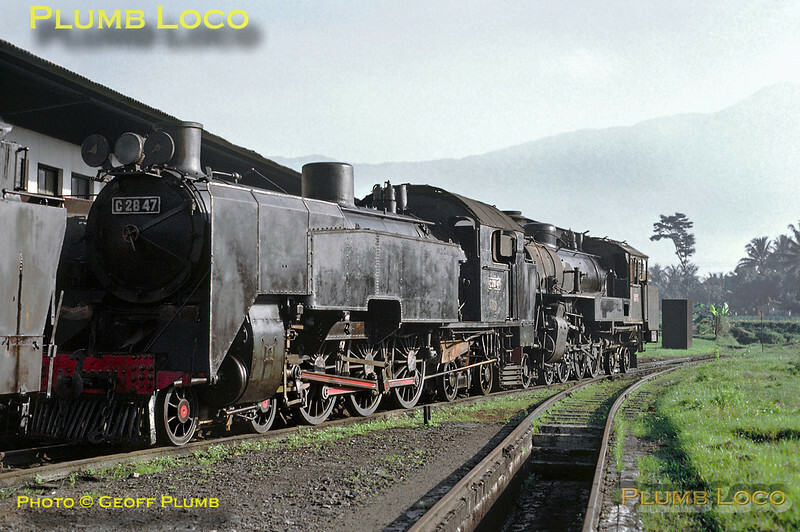 This was a 4-6-4T design and one of the speediest and most popular locos amongst the crews in Java. The loco stands in company with C27 20, another 4-6-4T design, alongside the engine shed at Purwokerto. Saturday 21st July 1973. Slide No. 11454.